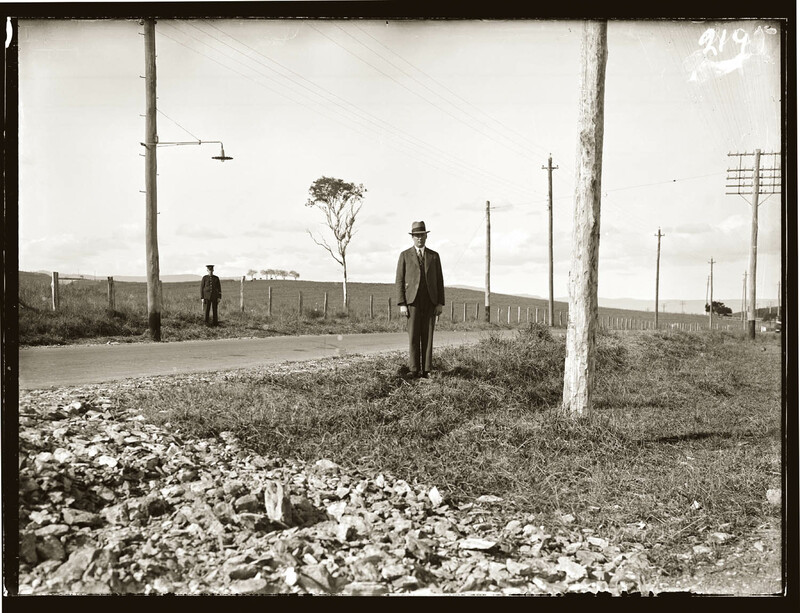 Rural landscape, detective and uniformed policeman presumably standing so as to indicate precise site of motor accident. Date and place unknown, probably late 1920s. Policemen can be seen standing to attention in a number of photographs; presumably the midpoint between the two men in this photograph marks the precise site of a motor accident or collision. Peter Doyle with Caleb Williams City of shadows: Sydney police photographs 1912-1948 Historic Houses Trust, 2005, pp.26, 229.